Over a whole season, performance is the most important thing, luck comes and goes but if you're putting in the work you should get your rewards. When there's only 4 games left however the concept of 'the long run' goes out the window, this was a game where the performance was good but not incredible but the difference that injury time penalty makes in enormous. A nice stat from Infostrada Sports was that the last player in the Premier League to score in injury time in both the first and second half (as Bony did today) was Bony in the game against Man City. Bony now has had a goal or assist in 11 of his 19 games since the start of the year (10 goals, 3 assists). 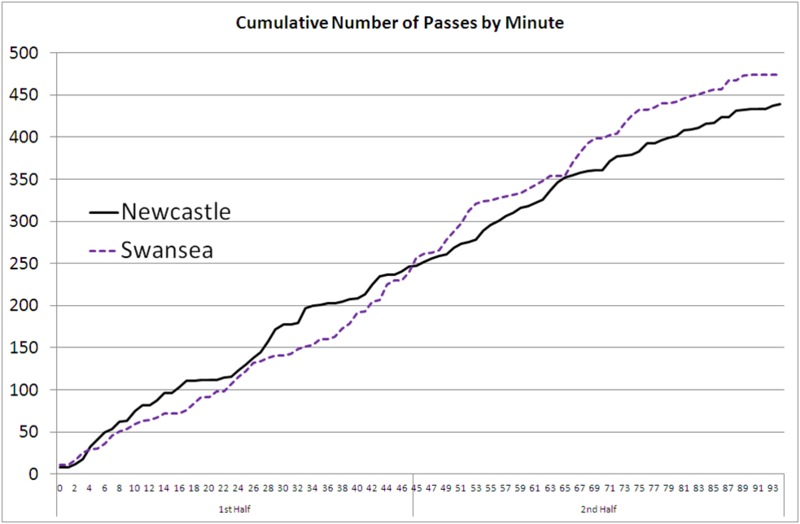 In terms of control of the game, this match swung back and forth with Swansea having the better of the match early on but then conceding, Newcastle also had a fair amount of possession in the parts of the second half. 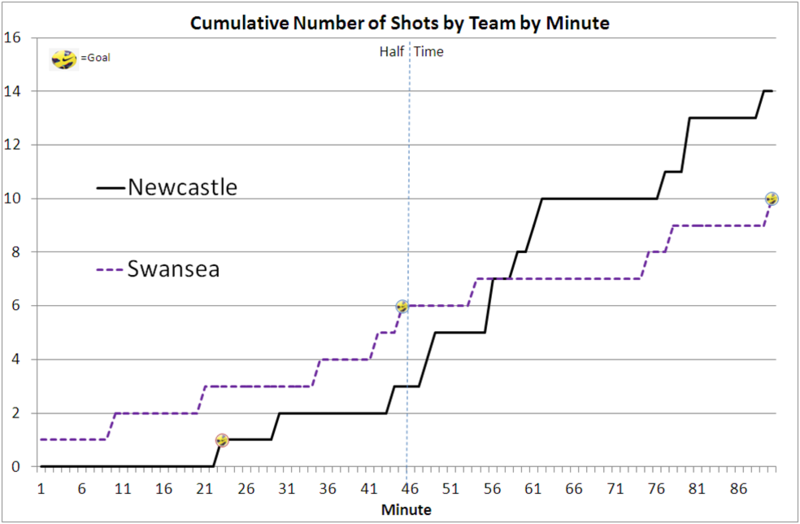 In terms of individual performances, Bony's goals will deservedly get the headlines but again I thought Routledge put a shift in again, especially tracking back and defending. Emnes again did a tidy job although I'm glad he got hacked down as I didn't have the greatest confidence in him being able to finish and it looked as if the ball was going to get stuck under his feet. I felt earlier in the week that 36 points would be enough but if Sunderland can beat Chelsea there may still be the odd twist left although I would expect any side suddenly rising from the relegation zone to do so at the expense of Norwich or West Brom (or possibly even Villa). A win against Villa will almost certainly make us mathematically safe (bar a 30 goal, goal difference swing over the last 2 games).